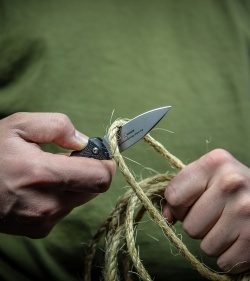 We're excited to offer the Mini version of the popular Boker Kalashnikov knife. Like the original Kalashnikov auto, the Mini has an aluminum handle with molded finger grips and an AUS-8 stainless steel blade. The Mini Kalashnikov design is ultra compact and comfortable for carry with the tip-up pocket clip. The action on this knife is exceptional and comparable to that of the Boker Magnum automatic series. This knife has a black finished dagger blade with a plain edge. The black coated aluminum handle has a tactical finished pocket clip and hardware. This is my second Boker Kalashnikov. I have a full size straight edge drop point and this Mini straight edge tanto. It's a nice little knife...not great...not terrible. This is a perfect example of getting what you pay for. 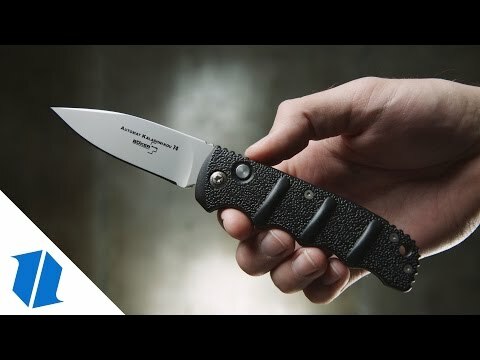 It's a relatively inexpensive knife made with low-end steel. The aluminum scales can be slick and difficult to hold. The blade was sharp when i got it but rapidly lost its edge after use. But...it's a $30 automatic (at the time I purchased). All that being said, if I lost it, I would purchase another. 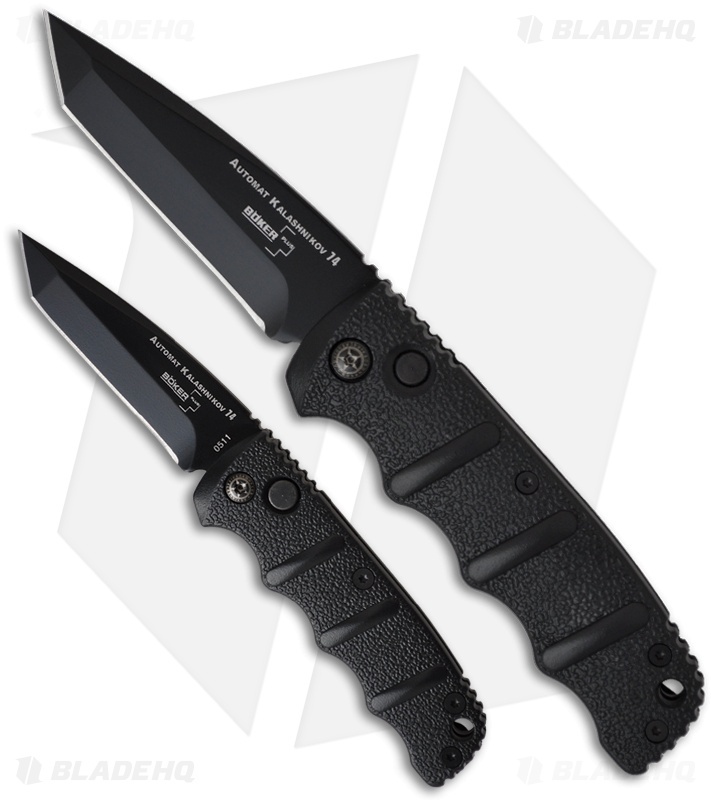 In fact, I may be purchased a few more to give as Christmas gifts for sons & sons-inlaw who carry knives. Initially please / intrigued but the spring release broke in 4 months of very light, edc use. What is more, it was easily the dullest knife I have ever purchased. Disappointed. LOVE THE SNAP OF THIS AUTO, CANT BEAT THE PRICE. WOULD PAY MORE FOR BETTER STEEL THOUGH, WOULD LOVE TO SEE DIFFERENT HANDLE MATERIALS TOO. BUT DANG LOVE THIS KNIFE. Love it! Lots of fun and locks up tight. A friend saw it and wanted to buy it on the spot, so I ordered him one as a gift. A little dull out of the box, but sharpened up nice. This little knife has great action the blade really pops out. It's a good looking knife. The Aus-8 is easy to sharpen. It's not the best metal, but for the price this is what you get. If you are looking for a small affordable auto this is your knife. This was my first auto knife and I love it! It's so fun to play with and it makes me want to get the bigger size too. The deep carry clip is great too. Bought 4 of these (1 for me, 3 for friends) and was impressed out of the gates. Comes in a cool box that looks like an AK mag. The action on this knife was really nice too. Unfortunately, my clip broke after less than one months use from simple blue jean use. I guess you get what you pay for. Buyer beware. Bang (snap) For The Buck! Plain and simple....SNAPPY. So many reviews and most are spot on. As advertised. Originally bought a full size Kalashnikov and loved it. But it was a little big for me. I tried the mini, and now I have 3. It opens strong, blade is centered. Button was a little stiff, but smoothed out quickly. Fantastic knife for the price. I find myself snapping this little guy open and closed whenever I sit at my desk. I haven’t tried using it for much besides opening boxes and letters, but that’s why I bought it and it serves its purpose. Great little knife for a nice price, you won’t regret buying it. Gave this as a gift, which was greatly appreciated. Wonderful start to autos in a state that now allows them. The amazing original design, in a mini size! Awsome action like the full version. I bought the mini vs. the standard size. I didn't realize it would actually be that small, but I'm use to it now and may add a bigger model to the knife box eventually. It's a well made knife and it flips hard. The blade is centered and it doesn't have any blade play. It was well worth the $25 I spent on it! This knife is very fun to play with and is fast opening. I like the knife. Great price point for an automatic. The action is a bit gritty but with time it should be fine. My dad loves the opening and the steel holds an edge well for the price. Got this knife for my grandpa for christmas and he loves it. He's got shaky hands now so the push button one hand opening works way better for him than using two hands and a fingernail to open his old knife.I highly recommend this knife, very smooth operation. Great Blade for a Great price! 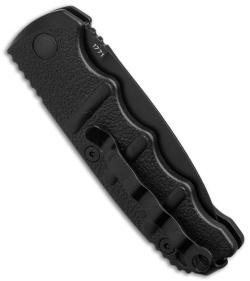 This is a nice little automatic open knife .Especially for the price! Blade opens correctly and is sturdy, no wobble when its in the locked open position. I like this knife because it's fun to play with and easy to put an edge on. It's not so big that it's a "scary" automatic, although if you do have large hands I would recommend the regular size Kalashnikov. This wouldn't be a knife I would choose to take into a battle, but if I had to I would. It comes with a good solid working edge, when you press the button it opens correctly. One of my only gripes is the action feels like it has a couple specs of sand. I have tried everything I know to get it out of there but its just got that roughness and never once has it failed to launch. This knife is amazing for the money. The workmanship is top notch. 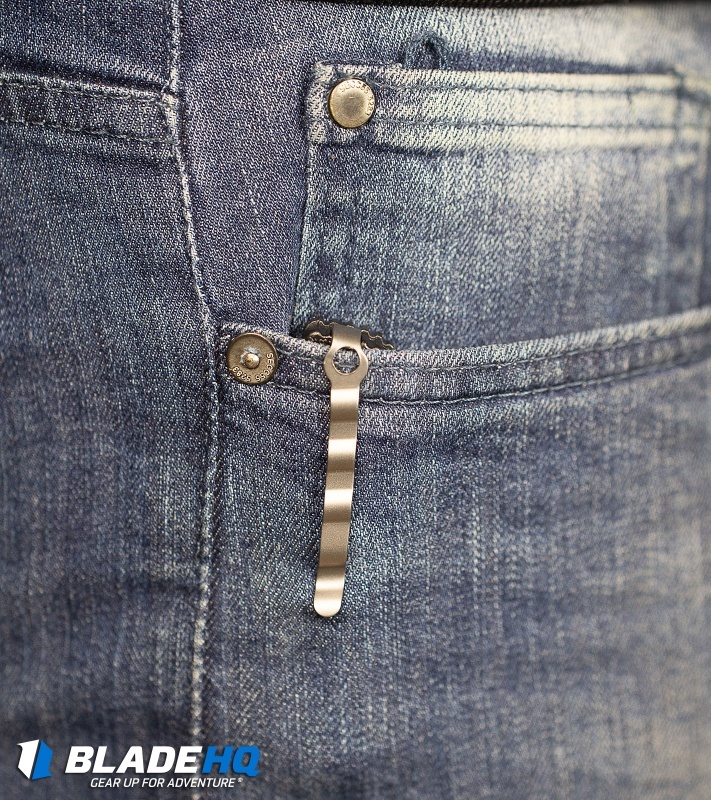 The release button is smooth and has just enough resistance to avoid an accident. The blade is centered and has no wobble whatsoever. 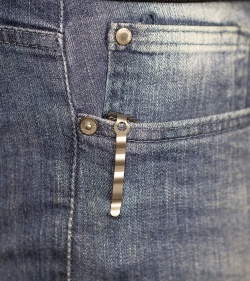 The clip allows for deep carry in the pocket. It arrived very sharp out of the box. 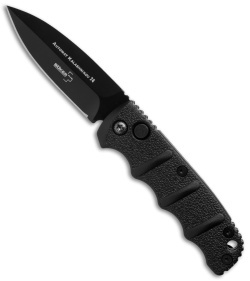 I am very pleased and will order this knife again for gifts. This is a quality little blade, especially for the money. I do wish it had a button lock. Luckily, it comes equipped for tip up carry. I put it in my watch pocket, which it's the perfect size for, and the chances for a dangerous accident are minimal. Snaps open with authority! Blade sharpens nicely, I WILL be using the snot out of it, so I'll know shortly just how well it keeps it. Being a Boker, I'm betting it will do well, even if it's a Taiwan Boker. Gotta believe they wouldn't risk their rep on junk! I like it so much, I'm buying another with a different blade style. It does come in a nice box, but I'd rather have them keep that & drop the price a few bucks. I'm not keeping this knife in the damn box anyway! Just buy one instead of reading reviews...in fact, buy a couple. You'll buy another anyway, just do it now & save on shipping! P.S. The only reason it's not 5 stars is that I don't give 5 often. When you finally get that spectacular example, you have nowhere higher to go! I have a very extensive collection of knives and Böker is one of my favorite foreign knife manufactures. This little pocket knife is a steller knife. 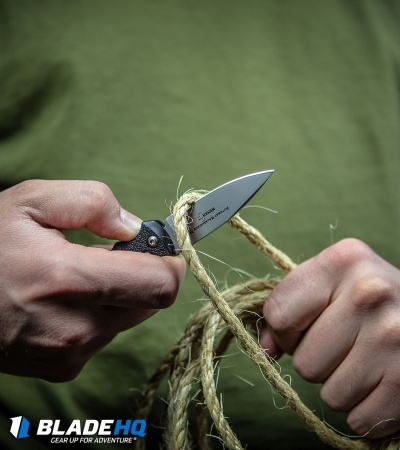 Smooth release and no play between the blade and the handle. Everything I would expect from Böker. I am impressed with the size, it is perfect for EVC. I place this piece right there with Benchmade blades in this same case and blade size. 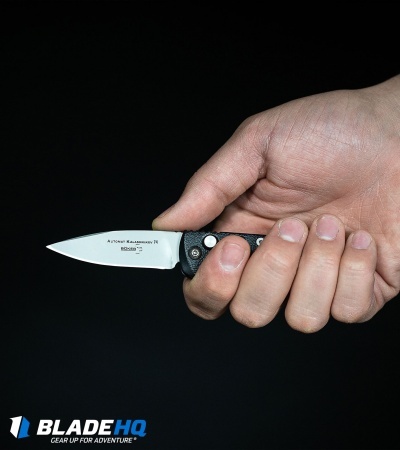 Do not let the low price fool you it is a very capable knife that delivers and you will not be let down. It came in a very nice box that is display worthy and it was as described. I would recommend this knife to just about anyone.